Thanks for joining us on South Live. We'll be back tomorrow with more updates from Berkshire, Dorset, Hampshire, the Isle of Wight and Oxfordshire. A five-year-old girl who went missing from an Aldershot park for several minutes has told relatives that she was with a man. The girl was found in Laburnum Road, outside Municipal Park, after vanishing from a play area at about 15:45 GMT on Monday, police said. She described the man as being white and chubby, with blue eyes and black hair. He had distinctive facial tattoos with a spider and a spider's web under each eye, the girl said. Police have said they are carrying out extra patrols in the area. M4 Berkshire eastbound severe accident, at J8 for J9 A404. M4 Berkshire - One lane closed and slow traffic on M4 eastbound at J8 J9 A404(M) Maidenhead, because of an accident. M4 Berkshire eastbound severe disruption, from J10 for A329 to J8 for J9 A404. M4 Berkshire - One lane closed and very slow traffic on M4 eastbound from J10 A329(M) Wokingham to J8 J9 A404(M) Maidenhead, because of a lorry having a tyre changed. M25 Berkshire clockwise severe disruption, at J14 for A3113 Airport Way. M25 Berkshire - Two lanes closed and queuing traffic on M25 clockwise at J14, A3113 (Heathrow), because of a broken down vehicle. Congestion to J13 (Staines). A4074 Oxfordshire both ways severe accident, from Rushmore Lane to B4009 Wallingford Road. A4074 Oxfordshire - A4074 Port Way blocked and queuing traffic in both directions from the Rushmore Lane junction in Woodcote to the B4009 Wallingford Road junction in Mongewell, because of an accident involving two cars. Jurors in the trial of a man accused of manslaughter after his girlfriend took drugs at a music festival have been sent home after failing to reach verdicts on the first day of deliberations. The Winchester Crown Court jury will consider its verdicts again tomorrow. 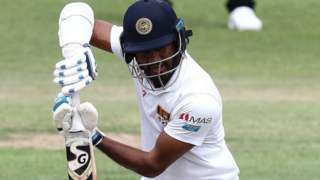 Sri Lanka opener Dimuth Karunaratne will join Hampshire as overseas player for April to July period. BCP Council, the new unitary council set to run Bournemouth, Christchurch and Poole, says the Dorset Waste Partnership (DWP) will continue to provide waste services in Christchurch. The shadow authority said it had established a one-year agreement with DWP "to ensure that Christchurch residents and businesses continue to receive the same service as they do currently". DWP will manage household rubbish and recycling collections, street cleaning, commercial waste services, garden waste and fly-tipping enforcement in Christchurch. 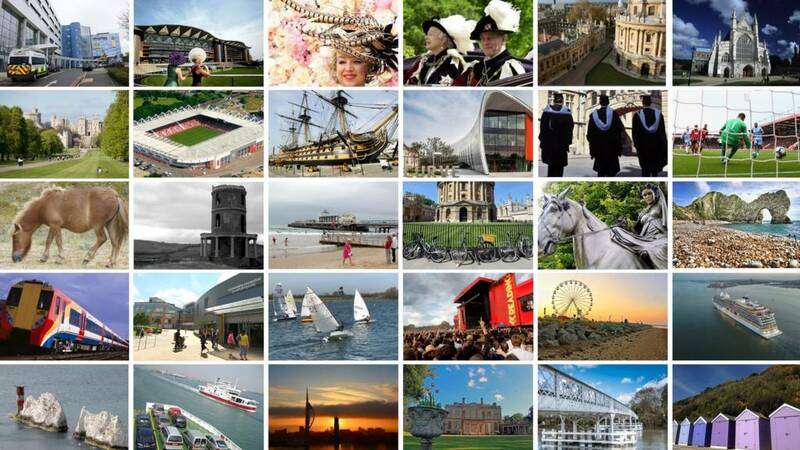 It comes as Dorset's nine councils become two unitary authorities in April. 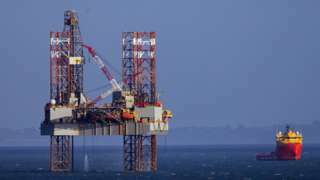 Corallian will now drill laterally to its initial target after hitting separate reserves. 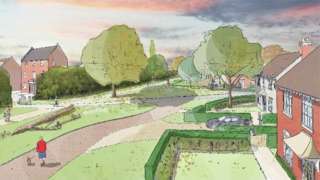 The proposals also include a school, shops, sports pitches and a community centre in Gillingham. People may be charged for driving into town under new plans being considered to reduce carbon emissions. Amid nationwide protests to tackle climate change, councillors and campaigners in Reading agreed at a meeting on Monday night that measures were needed to reduce carbon in the next decade. Council deputy leader Tony Page said one of the measures being considered was charging motorists for driving in town. "The proceeds of that charge would then be recycled and reinvested in public transfer and environmental schemes, so the money would be put to good purpose as is the case for example in London, with the ultra-low emission zone which is coming in very shortly," Mr Page told the BBC. He added: "Reading has to do that as well, the environment and public health of the town depends on it." A man remains in hospital with serious injuries after he fell from scaffolding around Oxford's five-star Randolph Hotel. He scaled the Beaumont Street building at about 12:50 on Sunday, a Thames Valley Police spokesman said. "He remains in hospital in a serious condition. Officers are currently investigating the circumstances surrounding this incident," he added. A giant waterslide event held on the Isle of Wight is taking a year off, organisers have announced. Former mayor Wayne Whittle who started the event said: "The event depends on a lot of people volunteering their time and resources and a year just goes by too quickly. "We’ve decided to catch our breath and come back bigger next year." The 200m inflatable waterslide event at Ryde has been held each summer since 2015. Money from tickets sold for rides on the slide goes to local charities - organisers said more than £5,000 was donated last year. Checks made during a crack down on the fraudulent use of disabled parking badges in Winchester have seen 10 badges taken away. Hampshire County Council said three of the badges found being wrongly used were deemed to be serious enough for further investigation. The other seven were dealt with via formal warnings. People who misuse blue badges to access disabled parking areas can face fines of up to £5,000 and a criminal record. M27 Hampshire westbound severe disruption, between J2 for A36 Romsey and J1 for A31. M27 Hampshire - One lane closed on M27 westbound between J2, A36 (Romsey) and J1, A31 (Cadnam), because of a lorry having a tyre changed. Traffic is coping well. 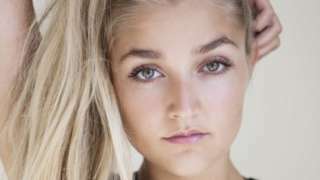 Ceon Broughton is accused of Louella Fletcher-Michie's manslaughter after her death at the festival. Taxi prices are set to increase in West Berkshire in order to cover the rising cost of licences. The current cost of a taxi licence is £161, which will rise to £282 in April. Graham Cox, representing the taxi trade, said there was no way to know whether the council was not actually "making profit out of us". He told the Local Democracy Reporting Service: "My concern is if we get these abominable increases, we still don't get the service we are paying for. What is going to change apart from the trade being ripped off?" Licensing officer for West Berkshire Council Charlie Fletcher said the price increase was to pay for the £55 an hour it cost the council to provide the service.